With Dow AgroSciences’ newest postemergent product, Relzar™ specialty herbicide, simplicity is key. 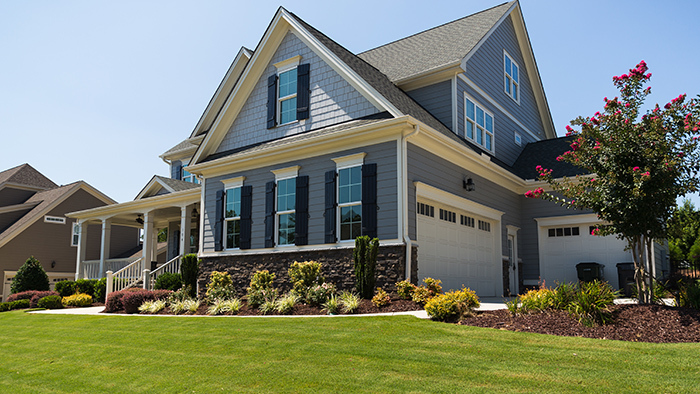 The product, pending regulatory approval, offers lawn care operators maximum application flexibility with one low use rate, no temperature restrictions on actively growing turf types and control of more than 60 broadleaf weeds. Federal registration of Relzar is expected this fall and the product is expected to be available to LCOs following state registrations. “There are several features of Relzar we think are going to be beneficial to LCOs,” says Amy Agi, a field scientist with Dow AgroSciences based in Brooks, Ga.
Relzar is expected to work best when applied to young, actively growing weeds. The product has two active ingredients—Arylex® active, a new synthetic auxin chemistry, and florasulam, an ALS inhibitor—that provide control of more than 60 broadleaf weeds including chickweed, doveweed, dollarweed, clover, henbit and plantain. Arylex active first moves through a plant’s foliage and stems, followed by the roots and shoots. This unique binding affinity makes Relzar fast-acting. Within one hour, the product absorbs into the leaves and begins to move through the plant’s vascular system. In 24 hours, Relzar translocates throughout the plant and outward effects begin to show. Within 48 to 72 hours, more profound curling and wilting of the plant is evident, and in two to four weeks, LCOs can expect total system-wide death of the plant from roots to shoots. A nonionic surfactant or a nonionic surfactant plus crop oil blend should be used with Relzar at the typical rate of 0.25 percent volume to volume of spray mix. Left: An untreated patch of doveweed. Right: Same patch of doveweed after an application of Relzar. Agi says Relzar will provide several benefits to help LCOs service their customers more quickly and efficiently. 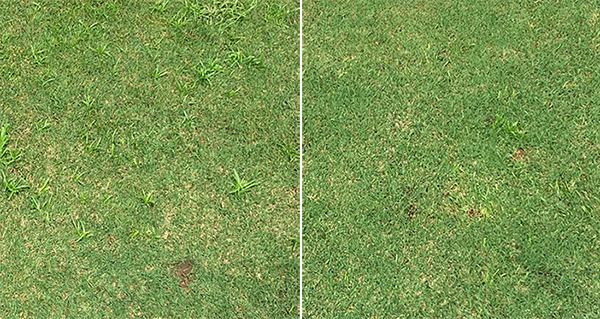 The product has one low use rate—0.72 ounce per acre for broadcast and spot applications—for all labeled turf types and weeds, eliminating the need to use different rates to tackle different problems. Relzar is rainfast after one hour and can be used on warm- and cool-season turfgrasses year round without any temperature restrictions. It is safe for use on warm-season grasses including Bermudagrass, buffalograss, St. Augustinegrass, centipedegrass, kikuyugrass, seashore paspalum and zoysiagrass, as well as cool-season grasses including bentgrass, bluegrass, tall and fine fescue, and ryegrass. Relzar is a water dispersible granular which dissolves into water in less than 60 seconds and works effectively in both low- and high-volume spray equipment. Nozzles that ensure a medium or coarser spray help minimize downwind buffer zones. Hollow cone-type nozzles or other nozzles that produce a fine-droplet spray are not recommended for use with Relzar. Relzar has minimal restrictions when sprayed near water and sensitive plants—Agi says the product can be sprayed up to the edge of a landscape bed. The product is expected to receive the signal word “caution,” and can be used in sensitive areas such as schools and municipalities. Relzar also has little to no odor compared to other products on the market. ®™Trademark of Dow AgroSciences, DuPont or Pioneer and their affiliated companies and respective owners. Arylex is a registered active ingredient. Relzar has not yet received regulatory approvals; approvals are pending. The information presented here is not an offer for sale. Always read and follow label directions.